The weather warming up. Are your kids ready to hit the pool? Get the little ones ready for spring and summer with swimming lessons! Not only are swimming lessons a fun way to get some exercise and cool off on a warm day, but knowing how to swim is essential from a safety standpoint. 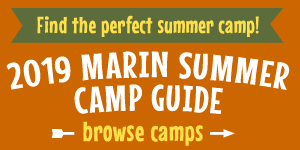 Below is our list of local Marin County providers of swimming lessons for children. Although many of the facilities listed are private clubs, unless otherwise indicated, all locations offer public lessons open to all. Most programs require pre-registration; follow the links or call to sign up or for more information. Note that swim lesson programs begin in the summer in some locations.